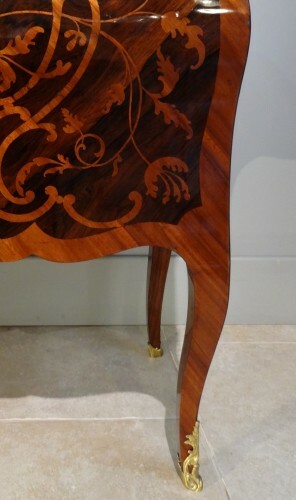 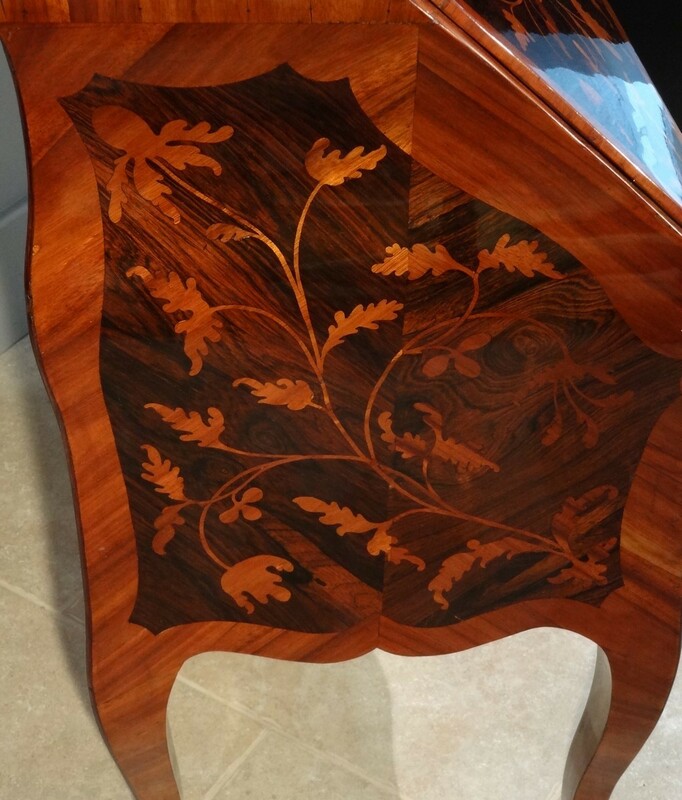 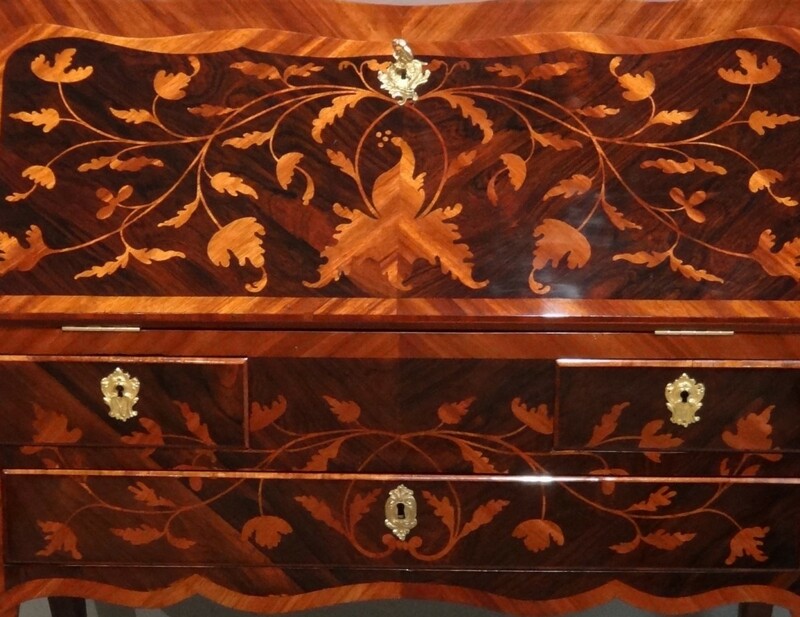 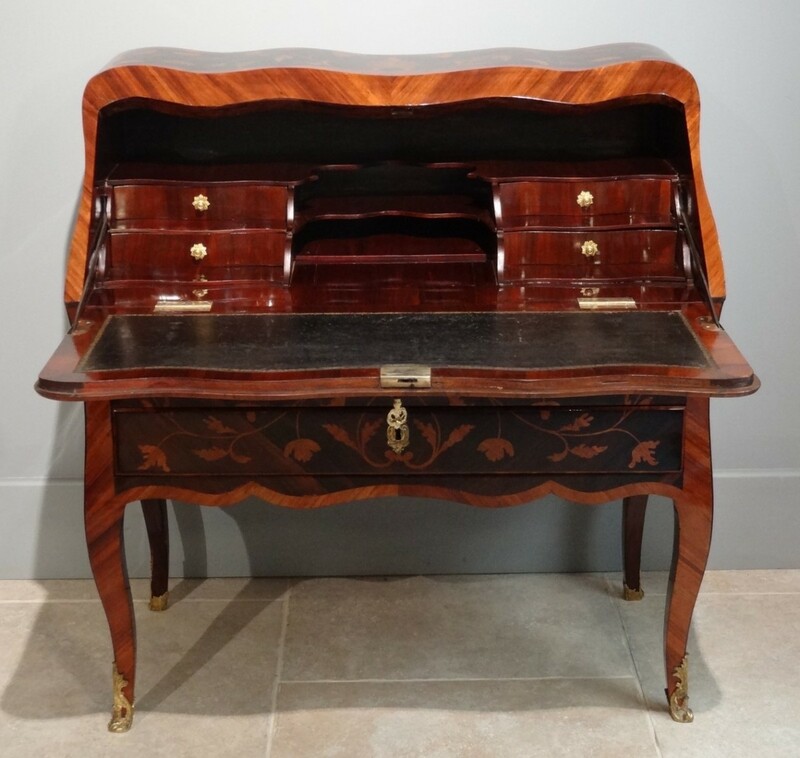 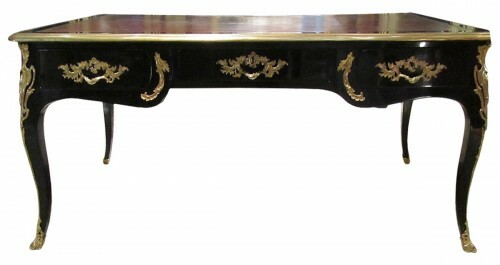 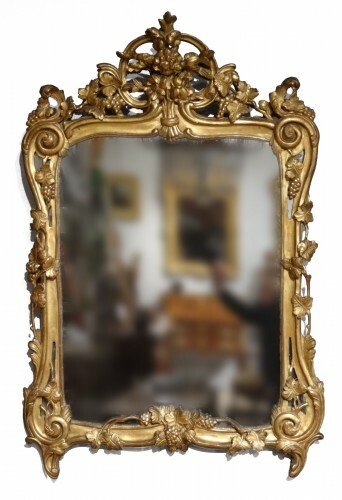 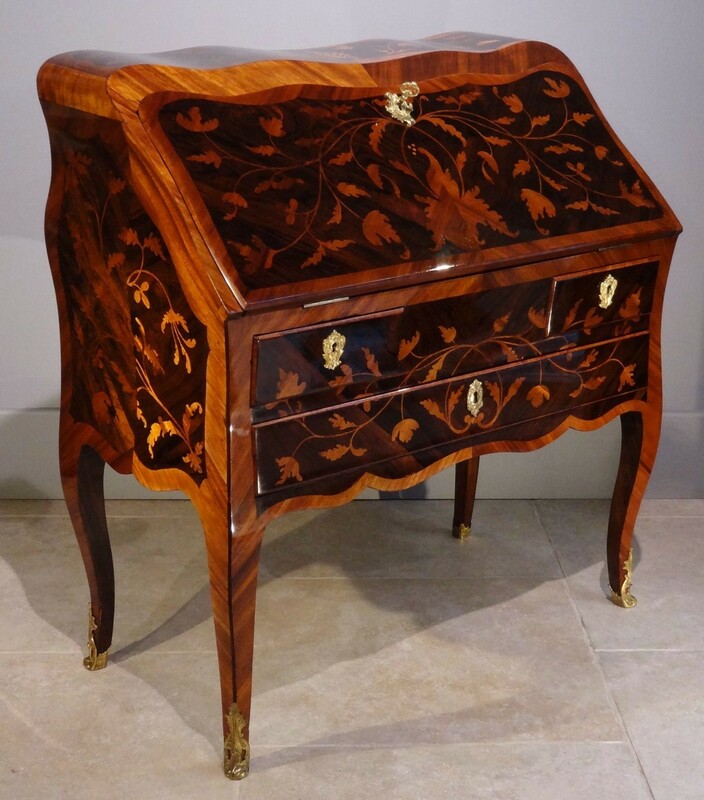 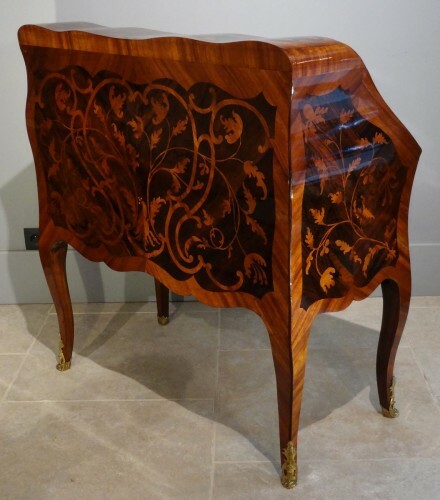 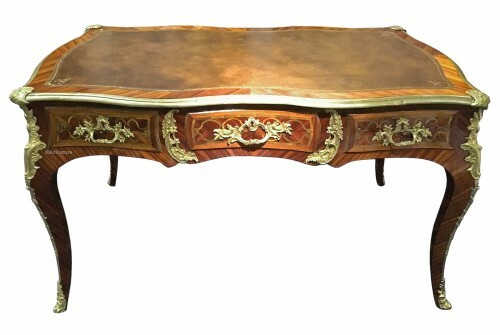 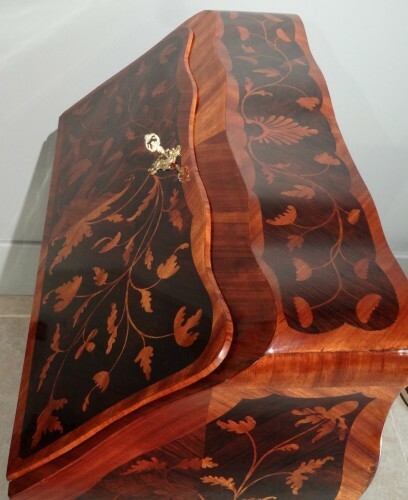 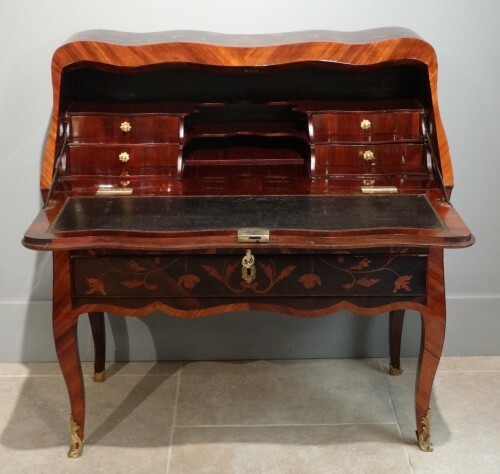 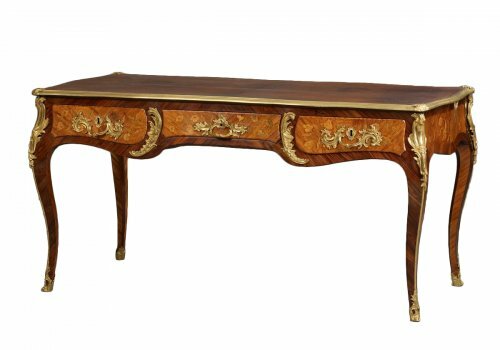 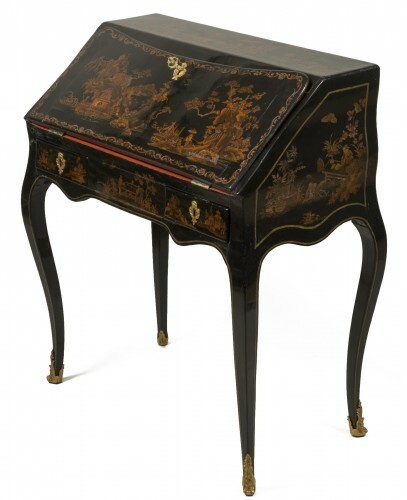 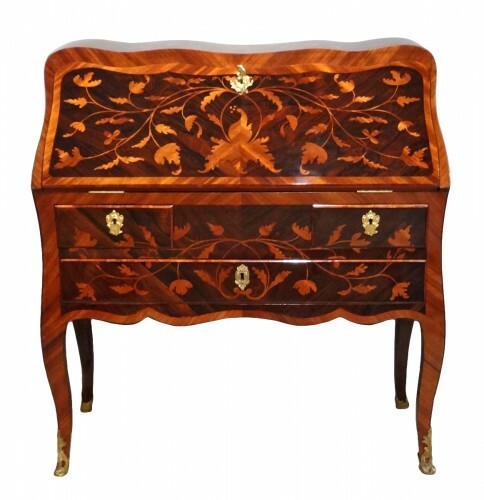 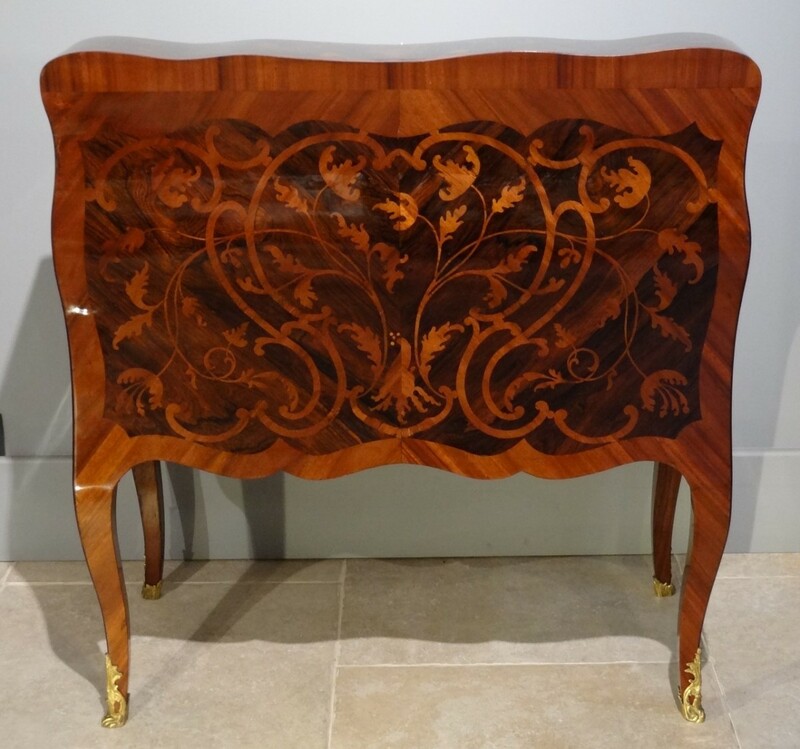 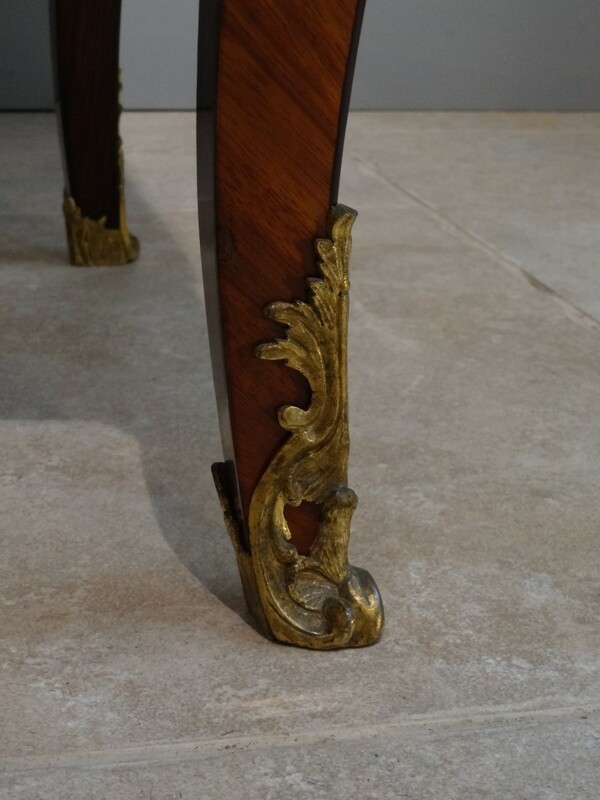 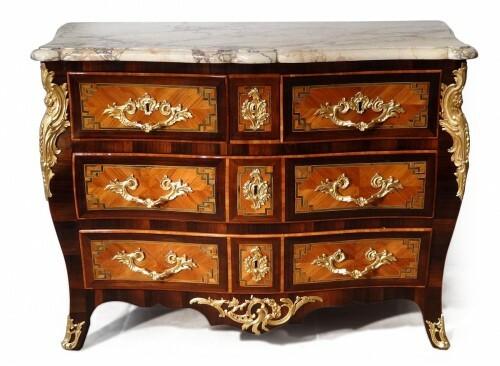 This elegant Louis XV desk "dos d'âne" is curved and has an exceptional rosewood marquetry decor and satin on all sides. It has in front by three drawers in two rows and a flap. 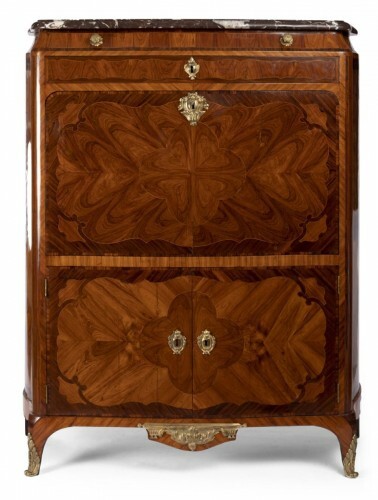 Inside there are terraces, four curved drawers and a central hiding place. 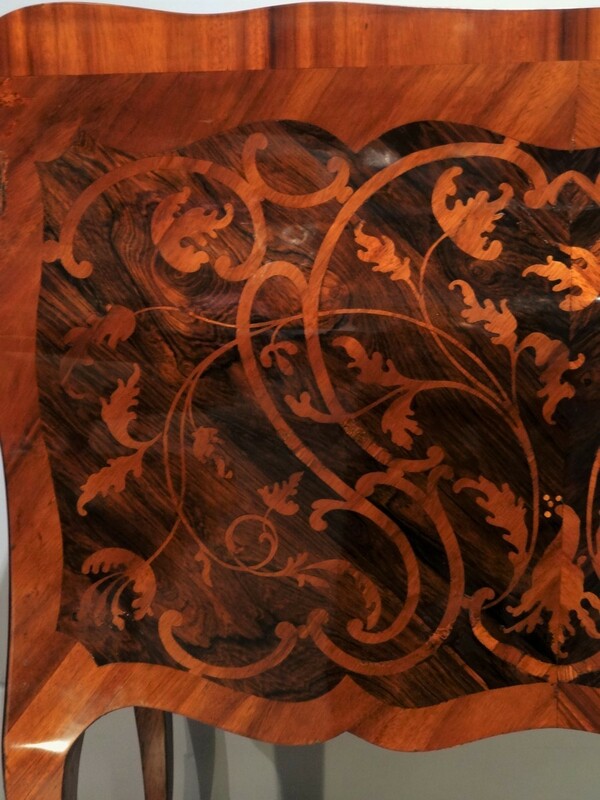 This office is based on a curved base finished by four bronze shoes. 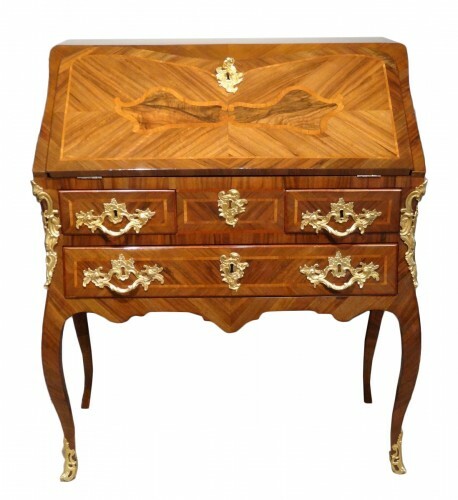 The rich decor inlaid precious wood and the pronounced shape of this office make it a remarkable piece of furniture and a great originality.